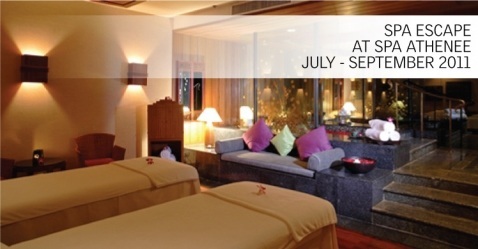 Treat yourself to a body treatment and relaxing massage at Spa Athénée at the Plaza Athénée Hotel in Bangkok for a special price of just THB2,000 (USD67). The package is available for men or women and lasts 90 minutes. An appointment is required and the treatments must take place between 9am and 4pm. The promotion is available any day of the week until September 30, 2011. For this promotional package guests can choose one of the spa’s body exfoliation treatments or a body scrub that lasts 30 minutes. The body treatment will be followed by a 60 minute massage with options including a detox massage, muscle ease massage, and traditional Thai acupressure massage. Spa Athénée has a creative Thai-French ambiance and the oils and creams used for the treatments incorporate healing ingredients like natural plant essences and red wine. 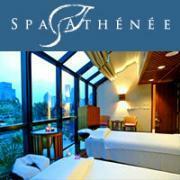 For more information about Spa Athénée, go to http://www.plazaatheneebangkok.com/spaathenee. Reservations can be made by calling (66) 02 650 8800 ext 5001 or emailing spaathenee.bangkok@lemeridien.com.